KIRE : linux shell accounts, irc eggdrop bots, znc bouncers, ircd hosting, much more. Spring into Savings! Check out our special discounts! All of our IRC virtual hosts have been updated and confirmed working! We now offer managed eggdrop bots, with no setup or configuration. Check out our special coupon deals to save you money. KIRE offers Secure Socket Layer Encryption for all of your important e-mail transactions. 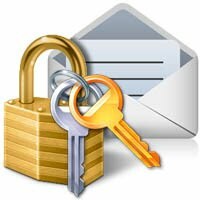 In the age we currently live in, it is important to us to ensure all of your e-mail messages are 100% secure and encrypted. Our Incoming Mail Server (POP3) allows SSL connections on port 995. Our Incoming Mail Server (IMAP) allows SSL connections on port 993. Our Outgoing Mail Server (SMTP) accepts SSL (TLS) connections on port 587. Below are instructions on how to configure your e-mail client to securely interact with our mail servers. Copyright © 1997-2019, KIRE, L.L.C. D.B.A. KIRE.NET. All rights reserved.